The campaign, which will run from Saturday 23 May to Sunday 31 May, is run by the British and Irish Association of Zoos and Aquariums (BIAZA). Its aim is to encourage people to visit their local BIAZA zoos, aquariums and wildlife centres and not only have a fun day out, but also learn just how much they do for conservation, education and research. 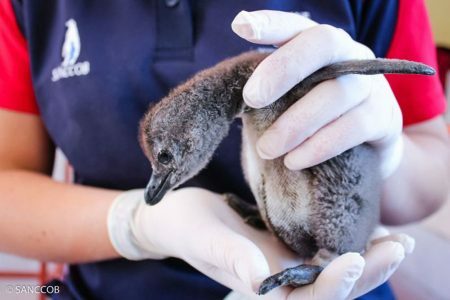 Throughout the week there will be something for everyone at The Deep from touch pool sessions to face painting, penguin feeds, badge making and learning about the importance of zoos and conservation. Colin Brown, Chief Executive at The Deep said: “We are thrilled to be taking part in BIAZA’s Love Your Zoo campaign and are looking forward to showing our visitors why they should love visiting The Deep. The event will also teach them about the important conservation schemes we are involved in. In the last year alone, The Deep donated over £45,000 to conservation projects all over the world. These include £27,000 to the Galapagos Conservation Trust to help with endangered penguin research, £12,000 to Bristol Zoo to support their work with the African penguin in South Africa, £2,000 to buy vital monitoring equipment to study manta ray behaviour in the Red Sea via a partnership with Equipe Cousteau, £2,000 to support an international penguin conference and a further £2,000 to contribute to coral restoration work in tropical seas. More than 50 zoos, aquariums and wildlife centres across the UK will also be taking part in the campaign. For more information on Love Your Zoo week visit www.biaza.org.uk/campaigns/love-your-zoo-week-2015.